I share resources to help unleash literacy using tech tools. 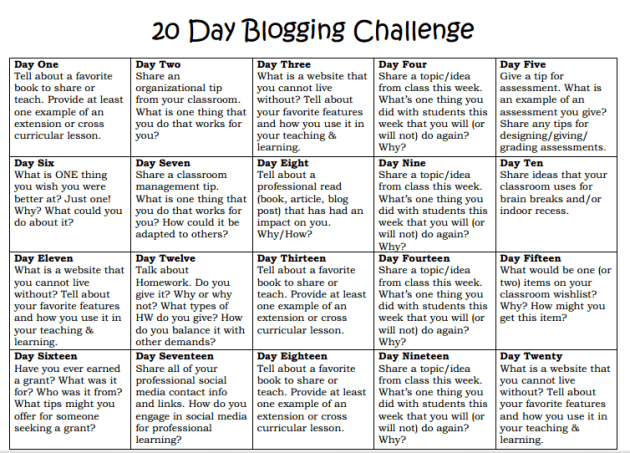 Today’s 20 Blog Challenge topic asks me to name a website that I can’t live without. I really thought about this for awhile because so many of them came to mind. I started to select my class assignment blog or my PLN blog and then I realized that I visit them often but not daily. Twitter I visit daily, hourly … or in reality every 10 minutes on average. Everything that I have done ‘new’ in my class is a result of a tweet. Twitter connects me with other educators from around the world. THE WORLD. How awesome is that? Why??? 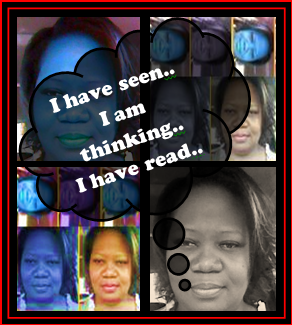 Hmmm, I share and look for resources regularly. Everyday I look for ways to perfect improve my craft. My students are always amazed when I tell them that I am going to a conference, meeting, class or webinar because I want to not because I have to. I try to explain that I do consider myself to be a lifelong learner who is constantly trying to get new ideas, activities or resources. I tell them that I would not be a good teacher or mother if I did not try to find ways to et better at everything I do. There are some things that I will use and some things that I will not. I read articles and blogs that I think are interesting. they may or may not help me out in life or my class but I think that it is important for me to exercise my brain and my creative nature. I named my blog To blog is to share and to learn for a reason. My Twittersphere is large and it is awesome. Thanks to you all. Thanks @kellyhines for the motivation to share. Posted on January 3, 2014 by Ms. B.. This entry was posted in Blogging Challenge, My Head, My Heart. Bookmark the permalink. I love how many of you wrote about Twitter as your “must have”. What a gift! Valerie, Twitter is the one I chose to write about too for today’s challenge. My life has been profoundly changed since I joined Twitter in 2009 thanks to so many wonderful PLN members like you. Happy New Year! I am a Techie Teacher, Lifelong Learner, Mother of 2 and Facilitator of Many. Interested in some of the things that I am doing, or want to do, or know can be done in a classroom? Click My Class. Interested in checking out presentations that I have facilitated? Click My Presentations.